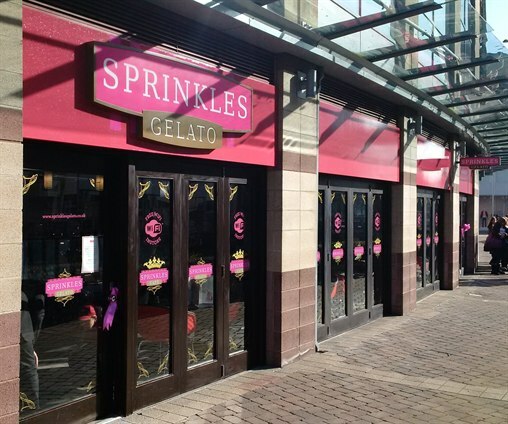 Riverside Hemel Hempstead - Sprinkles Gelato now open! Sprinkles Gelato is now open! On Monday 13th February, they opened their doors to our shoppers, to try their tasty menu full of delicious gelato, sundaes, waffles, crepes, coffee, milkshakes & more! Sprinkles can be found next to Topshop & Topman at Riverside, on the lower level. The dessert parlour will be open until late every day in Hemel Hempstead, with FREE parking after 6pm at Riverside too! Come and enjoy a tasty treat this February!